Type Fiberlink review on Google and you’ll be greeted with this article from TechJuice claiming that Fiberlink is probably the best internet service provider in Pakistan. I’m not sure what kind of incentive was given to TechJuice for writing such a positive review of their service but in my opinion, Fiberlink is one of the worst ISPs in Pakistan.Now I’m not writing this review just because I got paid from one of their competitors, it’s because I’ve been using their service for about a year now and they have pushed me to a point where I just want to break and burn their device and throw it at their face. It all started when I applied for their connection in March 2017. I tried to contact them via UAN number mentioned on their site but no one answers it. So, I contacted them on the Facebook page and they replied and asked for the address and told me that a rider will come by to collect installation charges. After a few hours a guy showed up, I handed him money and he gave me a slip. I asked him who do I contact in case of any query regarding my connection deployment. He gave me the contact number of their current social media head Sassi Mujahid Massan at that time. I asked him how long is it gonna take for you guys to deploy my connection. He answered it’s going to be roughly 30-35 days. Days passed by and no one contacted us from Fiberlink. We contacted their deployment head Shuja and that guy kept us hanging with his excuses for about a month. Every day he would come up with another excuse for deployment delay. He stopped picking our calls. So we started visiting their office located in Gulberg Lahore. Staff members there were extremely unprofessional. No one there was willing to take any responsibility for deployment. Anyhow after countless calls and giving them 4-5 visits a week, I got my connection deployed on the 52nd day of payment by their Karachi head Zeeshan who came to Lahore for the sole purpose of cleaning the mess created by Lahore deployment team. It was that moment when we thought all of the problems were gone, but soon I realized it was just the start. After two hours of deployment, my link went down. They gave me this Whatsapp support number in case of a complaint. After complain my link got restored on the next day afternoon. For first few months these abrupt link downs were very frequent but got better with time. Though, it still goes down 2-3 times a month. Fiberlink claims to be a global corporate leader who provide Dedicated and High-Speed Internet Services & Data Connectivity to their customer with the most reliable and fast sources available for this purpose that is fiber optic. From my experience, Fiberlink is a company run by a bunch of baboons with no idea what they are doing. Today’s tech-savvy internet consumers look for these qualities in an ISP. Fiberlink deployment process is extremely slow. I’ve friends who have been waiting for more than a year and their connections are still pending. I hear people complaining about it in forums, their official Facebook Page, Facebook and Whatsapp groups. There are people who have been waiting for 16-18 months for their connections. Some of them also tried to sue them in consumer courts for not refunding their payments. If you ask them for a refund they will tell you it’s not their policy. So People don’t have a choice other than taking them to consumer courts. It won’t do much but it can speed up your connection deployment process. I think this is their only quality that hasn’t been plagued yet. They always provide advertised speeds. It gets slow for about an hour or two but then gets back to normal. Only happens once or twice a month. Fiberlink always provide advertised speeds but sometimes it gets inconsistent. Our groups of gamers experienced packet loss for about 3 months starting from January to march. They didn’t share the exact reason why we were having those issue. We complained to their support about our packet loss issue for 2 months and their support guy had no idea what we were talking about. 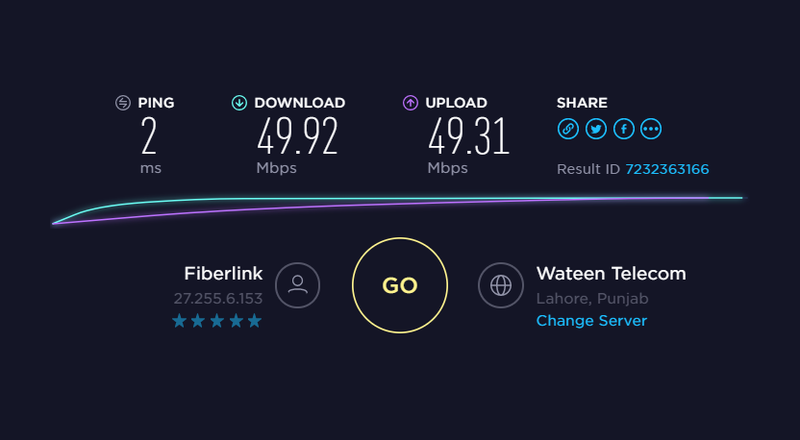 Anyhow, the issue got resolved after they upgraded their Lahore Fiber rings to 40G from 10G. My guess is that it was network congestion from their side that was causing packet loss at peak times. Fiberlink is extremely unreliable. It goes down abruptly many times a month and you have to wait 16-20 hours for their team to come and restore your connection. It is one of the biggest issues of Fiberlink. No one knows the exact reason behind these link downs. They say it’s their competitors who cut down their Fiber to degrade their service. Fiberlink internet packages are relatively cheaper compared to other FTTH ISPs. StormFiber, Optix, and Transworld are a bit expensive but their service is comparatively more reliable than Fiberlink. Fiberlink support is one of the worst. They have this WhatsApp number where you can message your complaint in case of an outage or link down. If you’re lucky you get a reply in an hour otherwise you have to wait 3-4 hours for them to read your message and acknowledge your complaint. Their complain resolve time is around 15-20 hours. Some people complain that they have to wait 2-3 days to get their links restored. 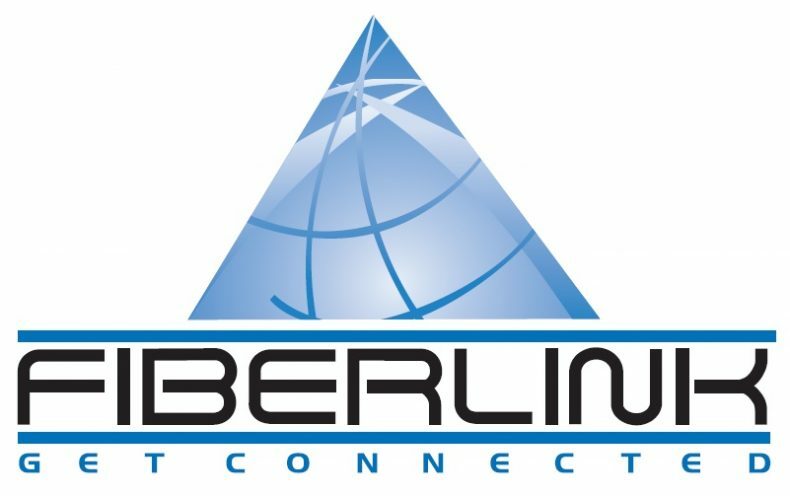 Deployment, Reliability, Support, and Billing are those areas where Fiberlink needs to focus. Now it’s for you to decide. I won’t recommend anyone sign up for their service. According to my resources, they have 2000 pending connections. Save yourself from the hassle and stick with PTCL or 4G wireless devices for now. If you’re still willing to try them out, please reach out to those who have been using them and ask them to share their experience before paying any of them. I am victim of their deployment delays. It has been 45 days since i paid. I have visited their Gulberg office for about 10 times but no one is serious about deployment. If you want a connection, you have to visit them daily until they agree to send someone with you to deploy your connection.